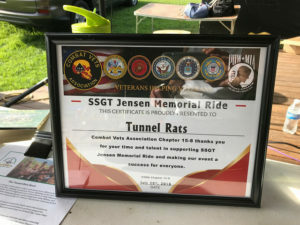 I have never been a fan of recreating a perfectly good wheel – a policy that carries over to The Tunnel Rats Blog. Our Blog has purpose. 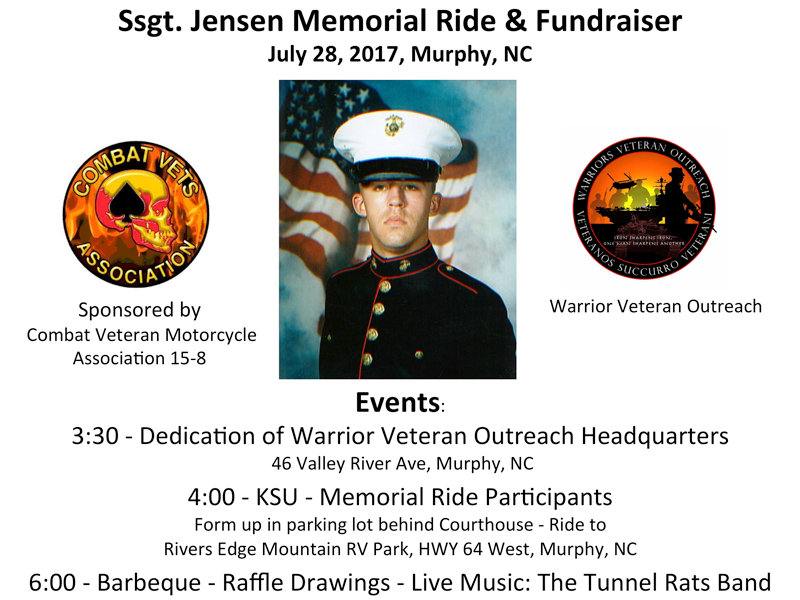 Ultimately our goal is to raise awareness of, and honor those in the Armed Forces who have served, or are serving our country. As our name Tunnel Rats Music suggests, our roots are in the Vietnam War. Understandably our content shares that focus. Some readers have also expressed their gratitude to me for maintaining this website as many of the articles are enhancing their education about the Vietnam War. I’ve also heard from family members of Vietnam Vets, thanking me for putting into words what their Vet is unable to tell. Cherries – A Vietnam War Novel is an exemplar of a perfectly good wheel. I don’t remember now how I became aware of this post – but it made enough of an impact that I made note to pass this on. If you find it valuable, please feel free to share. In Part I, we followed Sid Orr, a Marine Corp veteran who wrote Vietnam ballads to come to terms with his war memories. After many years and much toil, he released a CD, Vietnam: The Journey, in 2013. In Part II, we see Sid collaborating with Robin Daniel and Libby Wilson to create Vietnam: The Journey Continues and Tunnel Rats Music. By 2016, Sid had enough material for a second CD, but he needed to collaborate with musicians sharing his goal to help veterans, both through music and community. He didn’t have to look far. Sid knew Robin Daniel and Libby Wilson from regular Bluegrass jams and events. They discovered that their shared interests and diverse talents made a great team. Here is their story. After his first CD experience, Sid knew he couldn’t do another one alone. He needed to work with others who shared his desire to help veterans through music. It’s no surprise that through the welcoming and encouraging Bluegrass music community, Sid found the answer. 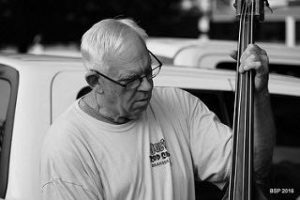 Several years before, Dickson Lester, leader of the The Mars Hill Porch Pickers, and fellow Vietnam veteran, met Sid at the Australian Bakery Tuesday Night Bluegrass Jam and asked Sid to play bass for his band. 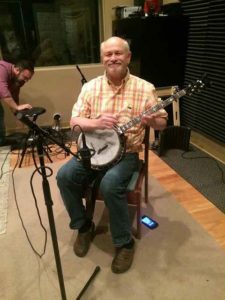 Dickson, “The Pied Piper of Bluegrass” always includes others, inviting them to play any time he can. In fact, Dickson and Mars Hill encouraged Robin Daniel to perform with them which led to her starting her own band. A band that included Libby Wilson. 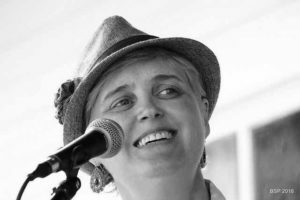 Libby, an aspiring songwriter in her own right, learned through workshops that songwriting didn’t have to be a solitary endeavor – creativity blossoms in collaboration. Knowing Sid was a songwriter who had released a CD, Libby wondered if he would share his experiences, and perhaps help her with her songs. Robin, who never considered writing a song, was awed by those who did, and was fascinated by the process. 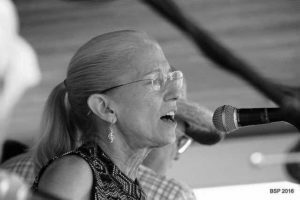 She had no idea her love of music, passion for helping others, endless energy, and natural organization skills would be so important to this nascent songwriting circle. Little did they know, this was the beginning of something special. In December 2015, they began writing in earnest, with a goal of having the second CD released by Memorial Day, 2016. Given the short time frame, they’d have to keep a tight schedule. 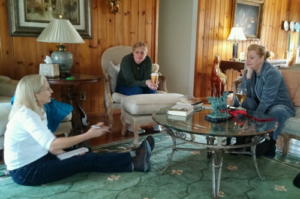 Robin, a project manager at heart, kept the project on track and organized their songwriting sessions. Meeting weekly, Sid shared the “hooks” and “phrases” he created over the years. As the three immersed themselves in the writing, Robin and Libby realized how little they really knew about the war in Vietnam. Born in three different decades, they had very different perspectives. In 1969, while Sid was in country, Robin was just starting high school, and Libby was a young child. Sid graciously, and sometimes painfully, described the physical and emotional toll the war exacted on him and his fellow Vietnam veterans. 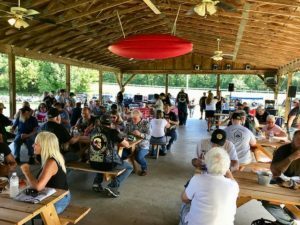 Although they didn’t realize it at the time, this song put the trio on the path to uncover a “living theme” of strength in sharing by the Vietnam veteran and his community. 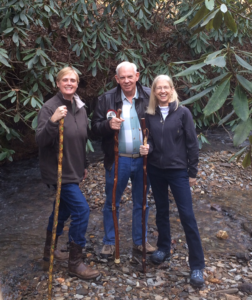 In January 2016, Libby arranged a meeting for the group with her friend, Sanfora DiMola, at her home in Ellijay, Georgia. Sanfora had begun her nursing career in 1965 working with some of the first returning Vietnam veterans. 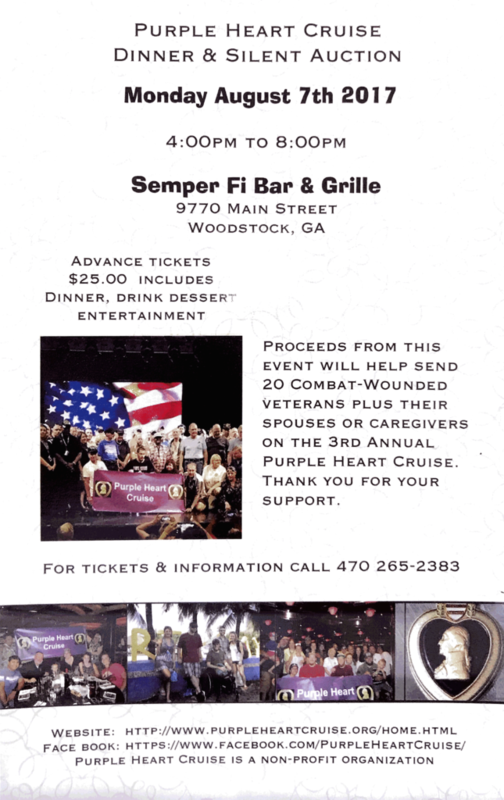 She told them about her “warriors” and the groundbreaking work on PTSD they spearheaded. Sir, When were you in Vietnam? 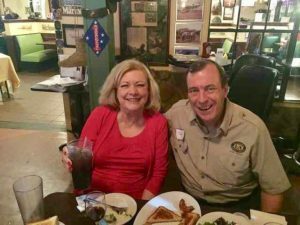 For several hours that afternoon, Sanfora shared the experiences that shaped her career helping Vietnam veterans. Do you hope for healing from the pain? Do you hope for healing from the shame? By March 2016, the songs were ready for the next phase – Production! 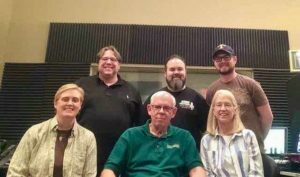 Sid, Robin, and Libby recorded some rough cuts and sent them along with the lyrics to Johnny Johnson at Johnson Brothers Recording Studio in Covington, Georgia. After Johnny performed his magic, arranging the music for his studio musicians, they were ready to begin. At the first recording session, Johnny worked closely with Sid, Robin, and Libby to ensure he captured the essence of the songs and created the sound they wanted. Two songs needed a banjo player to add a Bluegrass feel. They thought of their friend, teacher, and mentor, Jim “Duck” Adkins, leader and banjo player for the Cedar Hill band. Robin told Duck about the Vietnam ballads project and asked how much he’d charge to come to the studio. He declined payment and graciously donated his time and talent. The CD production and recording was truly a collaborative, community experience. With all the songs recorded and mastered, they were sent to press. Sid’s previous CD production experience with Disc Makers, an online CD production company, was vital. Knowing what to expect made the process manageable, especially when they hit a snag. Although Disc Makers had done an excellent job designing the graphics for the first CD, their design ideas for The Journey Continues completely missed the mark. Fortunately, Disc Makers had the option to upload a custom design. Robin used her computer resources and graphics experience to create a new design for the CD cover layout in time to meet their deadline. The walls are filled with pictures and artifacts donated by customers and patrons to remember and honor those who have served. It was the perfect place for a CD release party. Surrounded by veterans, friends. and family, Tunnel Rats Music released their first CD – Vietnam: The Journey Continues. 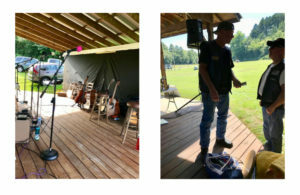 Fellow musicians, and Vietnam veterans Harold Hollingshed and Joe Curry, sat in with Sid, Dickson Lester, and the Mars Hill Porch Pickers to entertain the crowd. 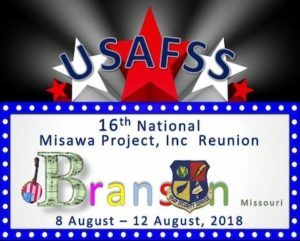 Robin’s close friends, Deb Gerace, Philippa Anderson, and Mary Slider, of Vintage Vocals, delighted the audience with a staged and costumed WWII USO-style show. Special guest, Sanfora DiMola at the CD Release Party. Sitting with Sanfora is Don Evans, a Vietnam veteran and friend of Sid Orr, who drove down from Missouri to attend. Sanfora DiMola attended the release party as a special guest and was recognized for her important contributions to the CD. 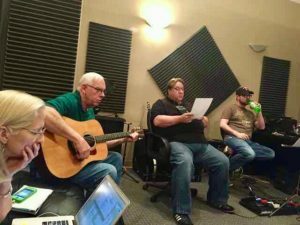 The CD release marked the end of an exciting experience for the Tunnel Rats Music song writing team. As they began work on a new CD, they were delayed by a surprising turn of events. In Part III of the story, learn how a Tunnel Rats CD that surfaced in a Thrift Store in North Georgia launched them on a new journey in a new direction. 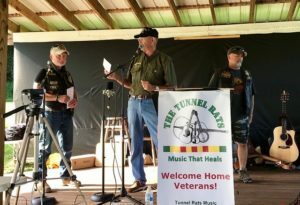 The lyrics of the Tunnel Rats song, “You’re Not Alone” came alive as I read the story of a Vietnam Vet who shared his story of pain, and loss of hope, that almost ended in tragedy. If you talk to enough veterans you will soon understand that although every war is different, all veterans returning home from combat face challenges that the rest of us, the protected, will never understand. Even combat veterans from different wars can find it difficult to relate to each other. 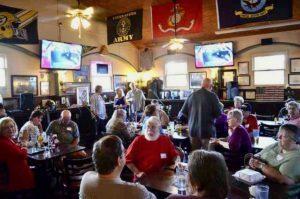 With more than 2.7 million American servicemen serving in Vietnam in the 1960s and 70s, the Vietnam veterans who have now reached retirement age, are beginning to shed light on their war and the challenges they faced coming home, many of which they continue to face today. Of the unique challenges faced by Vietnam vets, one of the most tragic themes emerging from these warriors is that they carry intense feelings of shame, and a strong sense of being alone, which manifests itself in isolation, and too often, suicide. 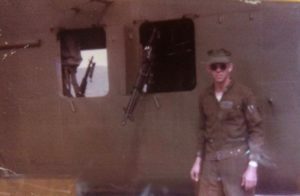 War is Hell, so is the Vietnam Veteran’s Experience really Unique? In many ways, the word “alone” best describes the plight of the American soldiers sent overseas a half-century ago to fight in Southeast Asia. They were sent to battle alone and they came home alone where some sought solitude from society. Those factors led to the psychological health issues some Vietnam-era veterans still face today. While some soldiers enlisted, others were drafted to serve yearlong tours. The United States also did something it had never done before, called the individual rotation policy. Unlike previous conflicts where soldiers were trained and deployed together as units, during Vietnam, troops were sent overseas one-by-one and added to existing units. There were numerous reasons for the policy, but according to Jeffrey Heider, a psychologist in Kalispell who has worked with veterans for more than 30 years, one theory was that rotating soldiers on yearlong tours would lessen their exposure to the horrors of war. But in some ways, it may have made it worse. New soldiers were frequently outcast by the rest of the unit because of their inexperience. 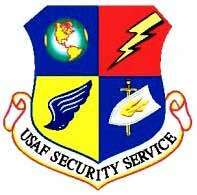 Heider added that after seeing friends die, some soldiers would isolate themselves. Listen, learn, support, and raise awareness. I encourage sharing my testimony with as many media outlets as humanly possible, because the word has to get out that the Men and Women who have or are protecting our way of life are truly hurting and need help now NOT tomorrow, because for 22 veterans it will be too late. There’s hope, there’s always hope, you’re not alone. 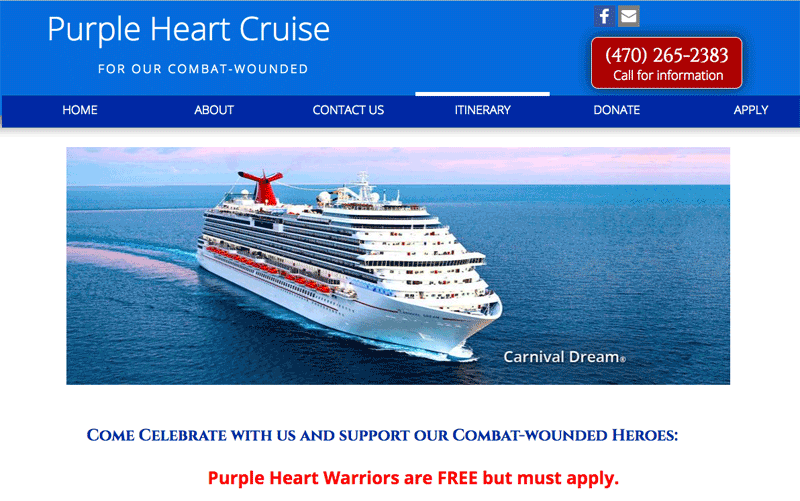 Fundraising Event: Proceeds from the event will help send 20 Combat-Wounded veterans plus their spouses or caregivers on the 3rd Annual Purple Heart Cruise. There is a generation of veterans, silent warriors, who served in the Vietnam War. They are in their late 60s, 70s, and 80’s, now retired from their careers with time to reflect on their lives. Many face the guilt, shame, and horror they encountered decades ago as memories arise and slap them in the face. How are the issues Vietnam veterans face different from from those of other war? Unlike the warriors from World War II, the Vietnam veteran fought a war dictated by politics fueled by the fear of communism spreading throughout Southeast Asia at the beginning of the Cold War. And unlike WWII, the leadership revealed their complete misunderstanding of the challenges in Vietnam from the outset when they boasted they would solve the issue in six weeks. Vietnam veterans fought an unpopular and unconventional war, being sent to Vietnam and returning home as individuals without the support of a unit or comrades in arms after completing their tour of duty. They arrived stateside, given bus fare to their hometowns, and thrust back into society often within days of leaving Vietnam without so much as a “thank you for your service.” In fact, they faced the opposite. Many were spit upon, labeled “baby-killers” and war-mongers. In contrast, during WWII we did not have the available transportation to send warriors home immediately. Many stayed in Europe until transportation could be provided. In hind site this gave the combat veterans time to adjust to non-combat life before returning to the states, and families, and jobs. Many Vietnam veterans suffered in silence as they tried to deal with the memories associated with the inhumanity of war, particularly one like Vietnam. Many fought despair with drugs and alcohol. Many fell victim to suicide as a solution to their pain. 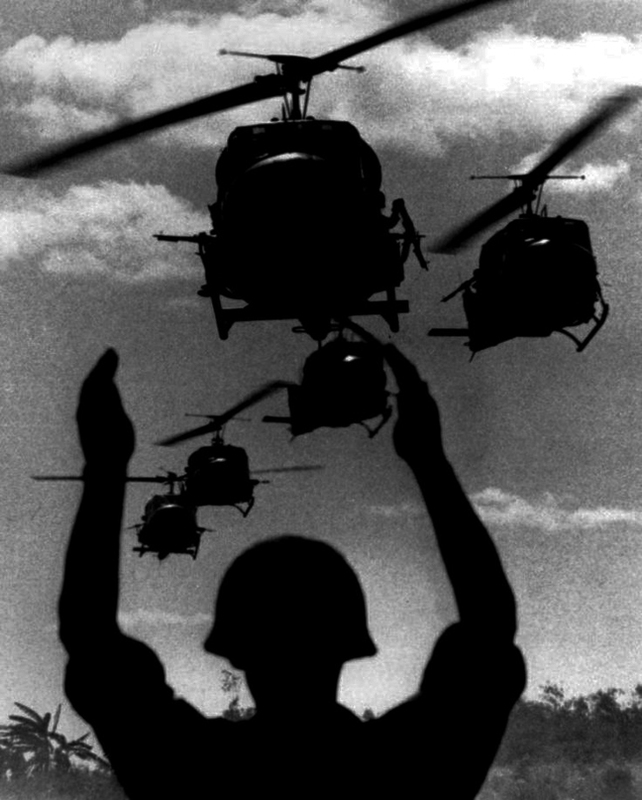 Facing the demons of the Vietnam war means shining a light on it, revealing it in context. Healing begins with understanding and acceptance of what these veterans faced “in country” and the pain and suffering of coming home. Sid Orr, one of the founders of Tunnel Rats Music, is a Vietnam veteran, a Marine, a helicopter door gunner who served in country in 1969. To help himself and other veterans, he found songwriting about his experiences a healing way to overcome the anger and shame that many veterans feel. 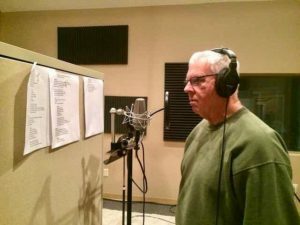 He wrote the songs for his first CD, Vietnam: The Journey (2013), focused on the veteran’s experiences from draft card to serving “in country,” to returning home, which was, to many warriors, harder than staying. 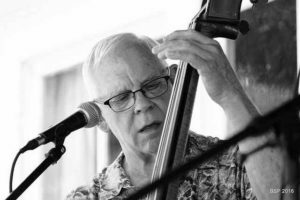 In the second CD, Vietnam: The Journey Continues (2016), Sid collaborated with two co-writers to focus on the experiences Vietnam veterans faced coming home, the impact those experiences continue to have on the veteran, their families, and loved ones. The songs carry a message for Vietnam veterans and everyone else. They open a window and shine a light on the silent warriors. When Libby and I began working with Sid on his 2nd CD, Vietnam: The Journey Continues, we found that our understanding of the Vietnam War, and the veteran’s experience, was limited and inaccurate. As we immersed ourselves in the songs, we had long and difficult conversations. We are eternally thankful to Sid who was willing to walk us through that time with him. We learned that every war is unique, and no one comes home unharmed.